The Department of Psychiatry is committed to high quality leadership in undergraduate & clinical teaching and graduate research (taught and research-based). We currently have around 40 graduate students embarking on research degrees (mostly Ph.D.s but we also have some students conducting research-based M.Phil.s). Students are hosted across all our different groups, engaging in research as diverse as genetics, psychology, neuroimaging and epidemiology. We are also actively involved in clinical teaching in the University of Cambridge, as well as graduate teaching on various M.Phil. programs. 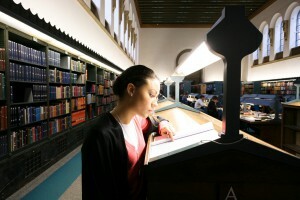 Graduate students contribute actively to the development and life of the Department. Two graduate students are appointed as student representatives on our Graduate Education Committee, which ensures that our students are represented at the Department level. More information about life as a research student at the University of Cambridge can be found at the Board of Graduate Studies website. If you are thinking about studying in the Department of Psychiatry, we have provided more information for potential clinical, undergraduate and postgraduate students on these pages. For any general student enquiries not answered on these pages, please contact our Education Supervisor Adisa Broadhurst in the first instance on 01223 465 237.